This article gives you a step-by-step plan for starting a high school esports team and takes a look at the how having a team will benefit your school and its students. We’ll also provide resources for finding tournaments, supporting your club and thinking ahead about college scholarships. No state has yet sanctioned gaming as an official sport. Because of this, all organized high school esports teams are run as clubs rather than as "school sponsored" sports. This may soon change, however, as organizations like the High School Esports League (HSEL), the High School Starleague (HSL) and Youth Esports of America (YEA) continue to actively lobby school districts to elevate esports to the level of schools’ football and basketball teams. Find a teacher to mentor your club. 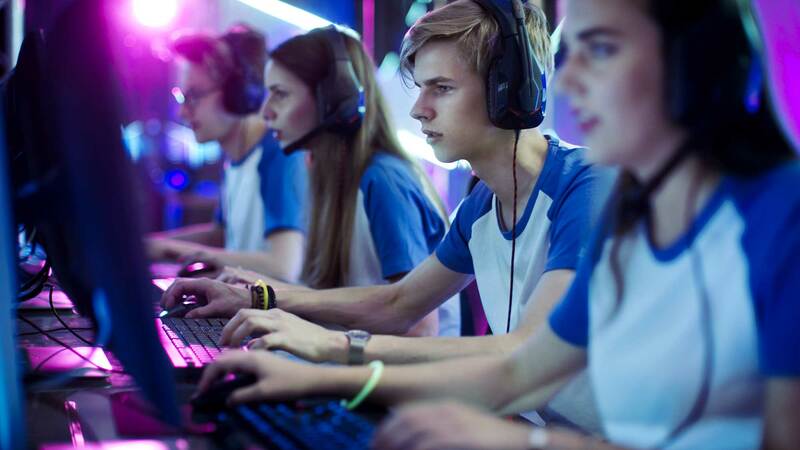 Often, finding a teacher to personally sponsor your high school’s esports team club will be easy – he or she may have a personal interest in gaming or experience helping with other school clubs. It could be a teacher you or a friend know well from working on past projects or talking about similar interests. Tip: If you’re finding it hard to get a sponsor on board, fill them in on the many benefits of high school esports listed in the next section. Spread the word. Start whipping up interest for your new esports club using posters, flyers, morning announcements, your school newspaper and any other useful school resources. Ask the office staff, the student council president, coaches and involved teachers for ideas. Also, be sure to talk it up to just about everyone you come across – friends, classmates, parents and teachers. Tip: Because esports is a recent trend, it may be more difficult for people to understand than, say a music or comic book club. Because of this, the more people in the school community you convince, the more successful you’ll be in the long run. Again, be sure to tell teachers, parents and school staff about the big benefits of esports we talk about below. Decide on the details. Make it official by planning out the details such as meeting time and structure. Meeting location will be critical, as you’ll need gaming-ready workstations on which to hone your gameplay. Some of you will decide to work with an esports association, such as the High School Esports League or Youth Esports of America and will have related paperwork to complete. Tip: This is a good time to get your teacher sponsor to help out; in fact, most of the league groups require that they sign your registration forms. Your sponsor can also help with tech needs, such as getting permission to use a media lab or purchase any needed accessories. Communicate and recruit. Finding and keeping members will be easier if you lay the groundwork for effective communication early on. This includes creating tools like text groups, email lists and social media sites. Use Facebook, Twitter, and any and all media that’s most popular at your school to share the details with members and interested students. Tip: It may be useful to have two sets of tools to send different types of messages – one for members and one for keeping in touch with students who have an interest but aren’t yet ready to join up. Once your esports club is formed and starting to meet regularly, you’ll want to start thinking about when and where you’ll compete. For more on how to get in on the gameplay, see the section below. But first, some info on the benefits of high school esports to help you begin promoting your club! Expanded career opportunities. In addition to developing important skills that can help students succeed in just about anything they do, esports itself is a fast-growing industry that offers many job opportunities beyond being a pro player. These include careers related to production, programming, streaming, management of esports teams, game development, graphic design, marketing, video production, and even STEM fields. A pathway to college. More than 60 colleges now offer esports programs, with many more on the horizon. Groups like HSEL offer tournament prizes in the form of scholarships to help students pay for a college. Because of this, esports at the high school level can motivate previously uninterested students to continue on to higher education. Social engagement & social skills development. Gaming is often a solitary activity and students who enjoy gaming are often those who are less involved in school activities. Competitive esports provides a way for like-minded students to meet in person on a regular basis, in pursuit of common goals – providing a sense of belonging for those who might otherwise opt out of school activities. As a scheduled school activity, esports clubs provide the opportunity to form friendships, gain respect from fellow students and gain increased self-esteem. Improved performance and retention. The National Federation of State High School Associations cites a host research showing that students who compete in high school activities do better in school. This includes higher grades, higher achievement test scores, and higher education expectations beyond high school. Better choices, healthier behaviors. Not surprisingly, students who participate in traditional sports tend to smoke less and eat in a healthier way, as well as spend more time doing homework. Students involved in any before- or after- school activity also tend to score much higher on measures of healthy behaviors and social connection, as well as lower for unhealthy behaviors – which means that members of your esports team will probably do more homework and less drinking, drugs and other harmful behaviors. Benefits for the school. When students do well, schools do well. All of the benefits listed above are also a great thing for the high school itself. In addition, high schools that support esports during its early days are quite likely to receive positive media exposure from the community and even nationally. An esports team can also bring in new sources of revenue for a school from sponsors and advertising. The number of colleges offering esports scholarships is growing rapidly. In 2014, Robert Morris University was the first to offer an esports scholarship. Today, large schools like the University of Utah and the University of California-Irvine offer scholarships and have high profile esports programs modeled after traditional collegiate sports teams – with post-game meals, team jerseys, and other perks. An esports club is a great way to get more students involved in an interactive, skill-building, in-school activity. Starting an esports club at your high school is a great way to get more students involved in an interactive, skill-building, in-school activity. Participants gain confidence, grow friendships and develop skills that will help them through high school and beyond. Getting a club going is easy. Start by finding a supportive teacher or other faculty member and spreading the word throughout your school. Build comradery and develop your competitive edge through regular meetings – then get in on the competitive gameplay by contacting the resources talked about above. For more ideas see the Appendix below: Additional Resources for Starting a High School Esports Team. While getting together with your club members to practice is fun, competing is the heart and soul of esports. The easiest way to begin competing is to join up with an established nation-wide league like the High School Esports League (HSLE), the High School Starleague (HSL), or the Youth Esports of America (YEA), the largest and most promoted leagues. All host tourneys and provide lots of other support for high school teams. The High School Esports League is currently the largest high school esports league in the US. 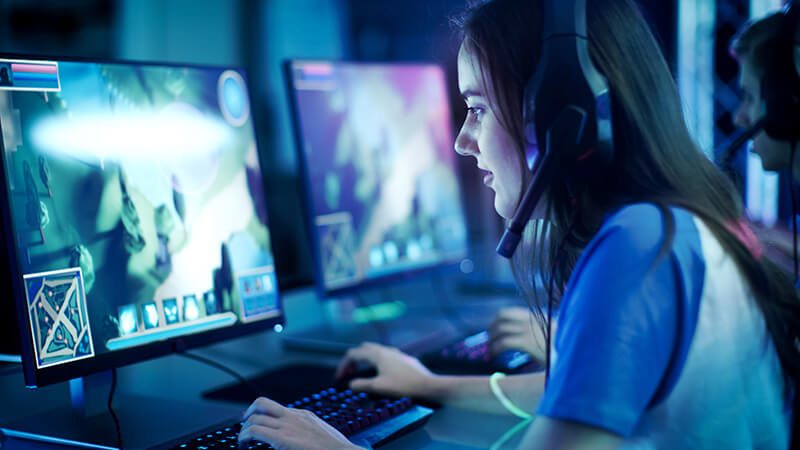 HSEL delivers high school level competition across thirteen different games, including the most popular high school esports Overwatch and League of Legends. HSEL is also a strong advocate for making esports available to every student as a legitimate varsity level sport in high schools across the nation. The High School Starleague organizes events that include league play, online tourneys, inter-school scrimmages, and live charity events. HSL works closely with schools to legitimize esports as part of schools’ athletics or extracurricular programs. Tournaments are organized around the regular school year and include Overwatch, League of Legends, and Smite, among others. Youth Esports of America unites high school esports clubs to create a community of passionate gamers. YEA offers many opportunities for competitive gameplay, including its semester-long series for high school Overwatch and League of Legends competition. It also provides sanctioned smash events. YEA is committed helping provide high school students with the background they need to succeed within the esports industry. HSL – The High School Star league offers a guide that covers working with their league to start an esports club and how to maintain and grow existing clubs. HSEL – The High School Esports League provides several videos on topics like: How to Apply to HSEL; How to Set up Game Connections; How to Register for a Tournament; and other useful topics. YEA – The Youth Esports of America homepage links to a variety of useful info, including their Esports Recruiting Partnership, which provides tools to connect high school esports players with college programs. Once you've got funding, it's time to build a gaming PC. Finding the right equiment is a whole new aspect of esports. Parts and pricing change dramatically, based on supply. Since you're limited on a budget, focus on the right setup. Focus on getting a fast processor, moderate graphics card and a monitor with a high refresh rate.